Prime Minister Narendra Modi’s ambitious Make in India campaign has pitched India as a potential investment destination for genetically modified (GM) crops. “India has the potential to become a major producer of transgenic rice and several genetically modified or engineered vegetables,” said a statement in the “Reasons to Invest” section of the biotechnology sector posted on the campaign’s official website. This is despite sharp criticism the Union government has faced from various Rashtriya Swayamsevak Sangh (RSS)-affiliated organisations for giving permission to conduct field trials for two varieties of GM crops in a few states recently. 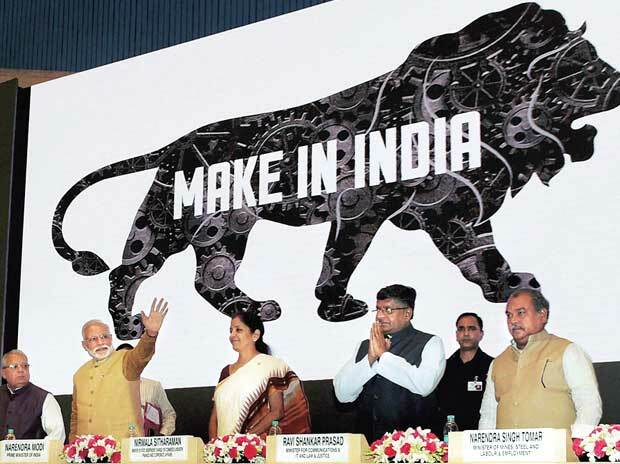 Modi’s signature campaign is aimed at making India an investment hub and export powerhouse. The website also states GM food crops are an investment opportunity for foreign players as they will offer “new business opportunities” in the country. “Hybrid seeds, including GM seeds, represent new business opportunities in India based on yield improvement.” This is the first time the National Democratic Alliance government has made public its stance on allowing field trials for GM food crops. On Wednesday, the Union government had stated in Parliament it had not banned the field trials of GM crops. “As of date, there is no ban on GM crops field trials, neither by the government nor the Supreme Court,” Union Environment Minister Prakash Javadekar had said in a written reply to the Lok Sabha. Javadekar said the previous government, led by the United Progressive Alliance, had submitted a joint common affidavit in April 2014 advocating the field trials of GM crops to be allowed across the country. Javadekar, however, did not criticise this move. “The Union government is of the view that research in GM and confined field trials for generating bio-safety data with all due precautions should be allowed to continue in the national interest,” he said. The NDA government had passed an order on August 21 based on the approval given by the biotech regulator, Genetic Engineering Appraisal Committee (GEAC), in its meeting held on August 18 to allow field trials of two GM food crops — mustard and brinjal. The GEAC had approved field trials of 13 GM crops, including those of mustard, cotton, brinjal, rice and chickpea which were strongly opposed by the Sangh Parivar organisations such as Swadeshi Jagaran Manch (SJM) and Bharatiya Kisan Sangh (BKS). Under pressure from these groups, Javadekar had reportedly put on hold field trials on July 29.